Acid wash & other jean washes. Discussion in 'Workshop - DIY - Do it yourself' started by Susanna-Cole, Mar 25, 2009. Sometimes I find a pair of jeans that fit great, but I don't like the wash on them. 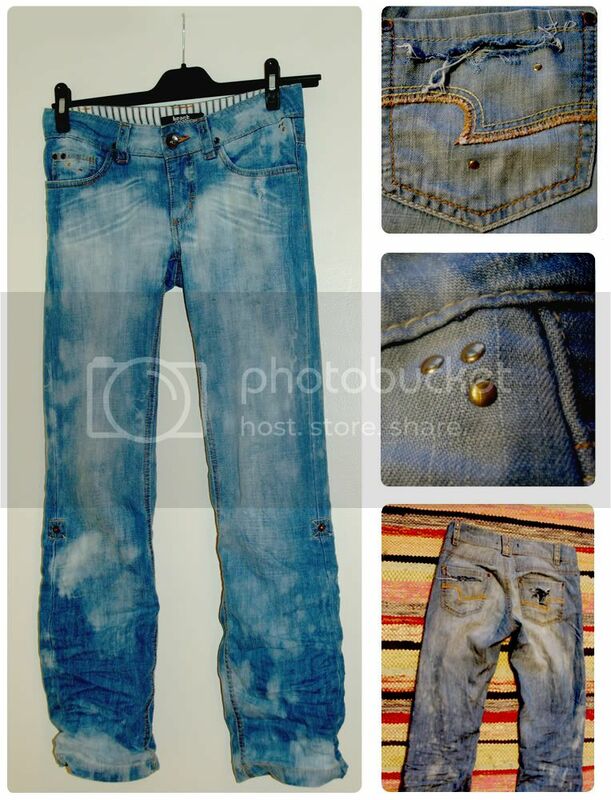 Anyone know much about acid washing jeans, or doing various washes on them to get different effects? Anyone tried doing a different wash on your jeans at home? To get the worn effect you can also take bleach on a kitchen scrub and just drag it down the leg to create the distressed highlight-effect. Thanks Anditgoeson, and ElectricAlyce! I think I might tray the kitchen srub, since I'll have a little more control in where the bleach goes, as I don't want the shorts completely bleached. But I'm not positive I want to bleach them...I'm also thinking of maybe trying to do a dark wash, I really can't make up my mind! I guess I could do one and then the other. I just did a pair of pants with the kitchen scrub and it works great and you get control over where you want it, so you don't risk a bleached floor Spray works if you want the splatter-effect though, but I'd reccomend maybe doing it outside. You could also keep a spray-bottle with vinegar at hand since it neutralizes bleach. i dye a lot of my jeans with Rit dye when I get tired of the finish or when it fades. It's about $2 compared to spending $40+ on new jeans. Does it make a differece on what brand denim is used ? Like how it has been previously treated ?!?!?! 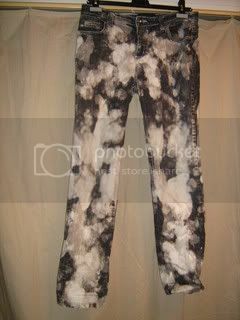 I bleached mine by just pouring the thick bleach on the jeans. Make sure you do it near a vent, better outdoors because the fumes are crazy. u just poured it on the jeans randomly??? and how s the drying process? do u wash them then dry them in the dryer?? ^ after you get the desired look, you rinse out the bleach with water, then wash them as you would normally. (dont wash with anything else, unless you want that bleached as well! ) and after just put them in the dryer! wow those look awesome! I'd rather them be skinnies though. I did a diy post about bleaching a bunch of stuff, and it mostly turned out well... Just make sure you have windows open and take a break if you get dizzy!! I hope it's okay to link to our own diy posts?